I’ve noticed recently that when you post an article on Facebook, the all-knowing Newsfeed will post three articles below your post – two that agree with the article you posted and one that disagrees. This is an interesting idea, and may help break down the “echo chamber” that so much of our online dialogue has become. But then, sometimes, the articles Big Brother Facebook suggests are just downright offensive. 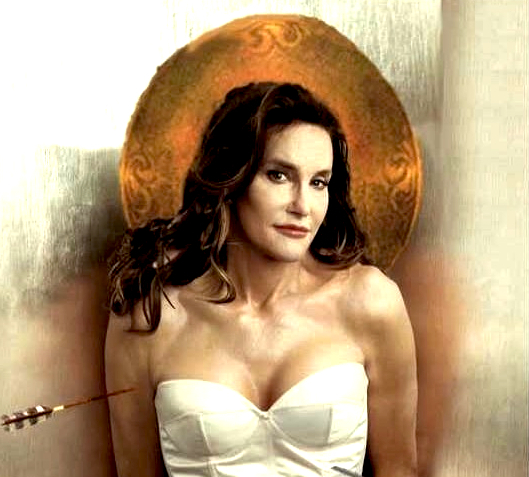 Looking over some postings on the remarkable coming out of Caitlyn Jenner the other day, I was struck by the serving up of a “third article” with the title, “Calling Bruce Jenner a Woman Is an Insult to Women.” I shouldn’t have clicked. After all, clicks to websites like this only up the ad count, making them more money. But, just as the human tendency when you see car wreck is not to turn away but to look more closely, I had to see this for myself. At the risk of sounding like an old curmudgeon, Walsh is only about 27, so there are probably a lot of things he doesn’t understand about life. He clearly doesn’t understand much about gender, because there are lots of situations—even besides transsexualism*—in which female or male brains are not “contained securely” in female or male bodies. But what really struck me here was the idea of not just a female or male brain, but a female or male soul. Is the soul gendered? Do the sexed biological parts assigned to us at birth, and/or the roles we play as men, women, or another gender actually represent some essence of who we are? If one believes that the soul is immortal, does this gendered essence go with us when we die? I decided to do some more research on this, and soon I was descending down a rabbit hole of male religious leaders mansplaining gender to the rest of the world. Hear, hear! Maybe these guys are starting to make some sense. Yes! Exactly! We are not embodied souls, but ensouled bodies! The material is essential to who we are as human beings. This has all kinds of positive implications for the experiences of gay people, women, and trans people, who must listen to their bodies and discern truth that goes against the orthodox teaching of the Church. I get it, if only Caitlyn Jenner had been better at geometry, she wouldn’t have “become” transgender. So the “primary sacred sign” of the relationship to God is one in which priests can’t take part because they’re celibate, and the “Bride of Christ” can only be led by men. Got it. Next on Keeping up with the Kardashians: Caitlyn leads Kim and Khloe in the sacrifice of Kendall to their new deity Kris! If none of these arguments sound convincing, it’s because the transcendental element of the human person is mysterious, and mystery doesn’t sit well with fundamentalists. Tradition and scripture have given us all kinds of ways to look at the gendered soul. For instance, along with the Church being thought of in feminine terms, part of the Medieval courtly love tradition thought of the soul as feminine, and Christ as a suitor who lures “her” into a kind of spiritual romance. What the author’s soul looks like. Carl Jung spoke in terms of an animus or inner personality in women which was masculine, and anima, or inner personality of men which was feminine. 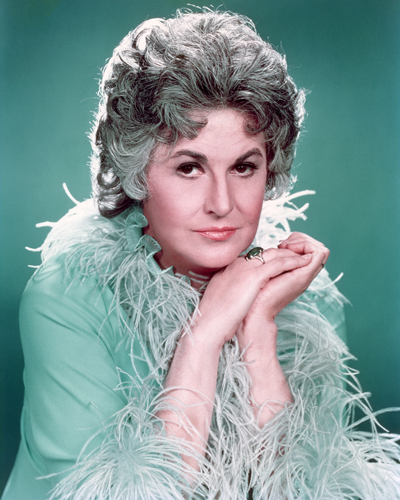 I personally have always thought my anima was a strong feminine figure who knows what she wants and doesn’t suffer fools gladly – sort of like Bea Arthur. The Bible, particularly in the New Testament says all kinds of interesting things about gender. Contra the archbishop, Jesus make pretty clear that in the Kingdom of Heaven, people will neither marry nor be given in marriage. So what becomes of this “primary sacred sign” of our relationship with God? And let’s not even get started on Galatians, where Paul says we may even transcend the various dualistic markers of identity, “neither Jew nor Greek , slave nor free, male nor female” in favor of a new identity in Christ. What struck me as fascinating among these critics was the sudden interest in incarnation, and breaking down the longstanding Christian dualism between soul and body. If only this sudden interest in the body represented a new incarnational theology. If only this was the beginning of seeing men’s bodies, women’s bodies, or trans bodies as having real spiritual value, not just as throbbing mounds of flesh with desires that lead us astray from the Truth. If only Christians saw Christ’s incarnation in the body of a woman not as a one-time-only union of body and spirit but as a revelation of the innate holiness of our bodies as theological instruments—that our bodies’ needs, desires, hurts, illnesses, abilities and disabilities may point us to a greater understanding of God. But that’s not what Moore, Walsh, and Cordileone think about Caitlyn Jenner’s body. They think her body makes her a freak. They are the ones that are delusional, because they think trans people are somehow “confused” about the relationships between their bodies, minds, and souls. They seem to think of Caitlyn Jenner’s coming out and gender transition as brain surgery—like putting a female brain in a man’s body, or putting a man’s brain into a female body. 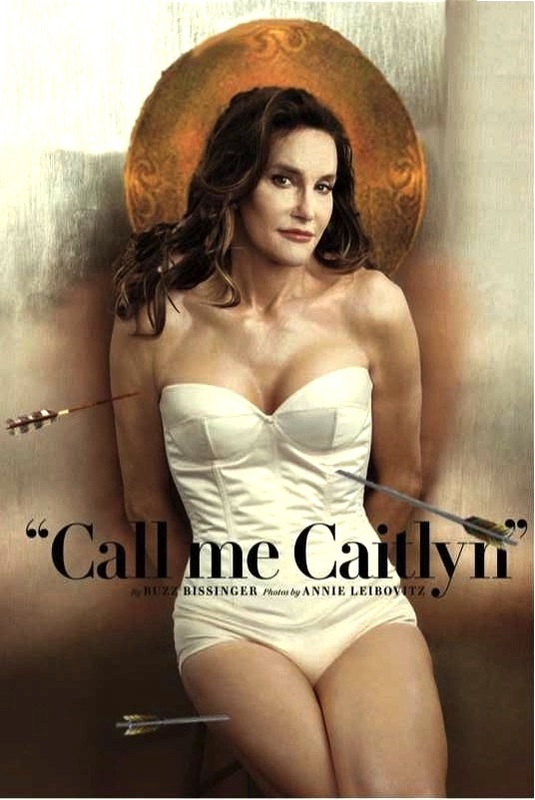 It never seems to occur to them that Jenner is more than aware of her own body’s needs. What our bodies tell us about being male, female, queer, trans, or any other gender identity deserves to be treated with respect, love, and perhaps even humility and awe as we discover the complex implications of being made in the image and likeness of God. *Note: I use “transsexualism” here in its specific form to denote someone who goes through procedures like taking hormones or having gender confirmation surgeries so their body conforms physically to the gender they understand themselves to be. This is not to be understood as a “catch-all” term for trans people.